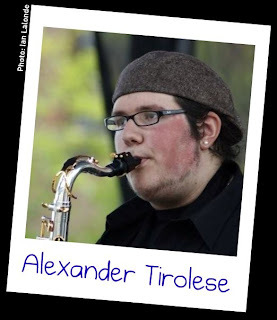 My son, Alexander is a gifted musician. He has been playing instruments since the age of 4, and only because we couldn't deny him any longer. He was humming recognizable tunes before he could speak and could read music before he could read words. He wanted to play violin so badly that we finally put him with a private teacher. He learned quickly and well. Now, he plays a whole variety of instruments. I often say that the only instrument he cannot play is the one he has not had the chance to get his hands on yet. His current love are all the saxophones, especially the soprano and alto, and the bass guitar. However, he plays so many other instruments, sings, and even teaches guitar. For a long time he wanted to be an opera singer. He does have a beautiful tenor voice and did take professional lessons for a few years. Now he is really into jazz and is thinking of making that his career choice. I could go on for pages about Alexander and his music. We are so proud of him. I just wanted to share that he played three Sundays in a row (January 11 to 25, 2009) at Williams Coffee Pub. It was well received. Many people came out to see him and were impressed with him and his jazz band. People were shocked to find out that he is only 17 years old. He plays well beyond his years. He and his band are available to do private parties and corporate functions. When I arrived home, tonight, after a long and eventful day (at a Marketing for Artists Seminar) I was pleasantly surprised to find an email from Alan of Robot Nine! I have won Picture Puzzle 5 contest!!! I am giddy with excitement. 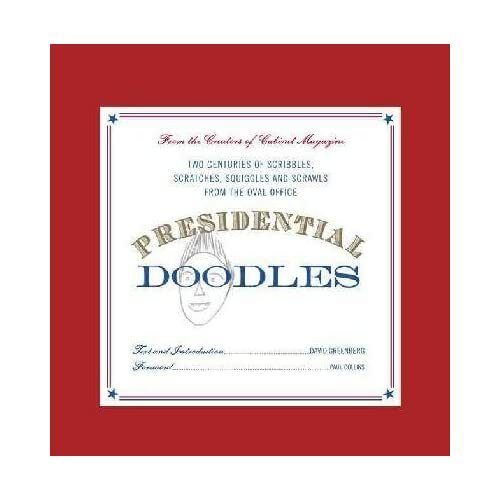 I have chosen The Presidential Doodles book as my prize. If you are not familiar with Robot Nine (http://robotnine.blogspot.com/), then perhaps it is time you acquainted yourself with this very interesting blog. Alan puts up series of 9 related, and interesting, items on a regular basis. He also has the fun Picture Puzzle Contests. My post is in honour of our friends to the south on this historic day in U.S. history. Last Sunday (January 11th) was the first day in this series of Jazz in the Afternoon performances. I had sent out a Facebook invitation to several London, Ontario residents, hoping they would come out and enjoy a lovely afternoon of delicious coffee and desserts and hot jazz. Imagine my surprise and delight when one of my online acquaintances, and fellow artist, showed up! I finally met Jim Kogelheide in person. He introduced himself to me. I was thrilled to meet him. We had a short chat (I was sitting with a friend of my husband's and the noise level was a bit loud for my already compromised hearing). Jim gave me the above print of his work. That was quite an unexpected surprise, pleasure, and honour! Jim brought his lovely wife, and he said that both of them thoroughly enjoyed the afternoon out and the jazz. He was unaware that the young man playing sax is my son. (I'll brag about Alexander in a later post). deep in the hear of this province B.C. 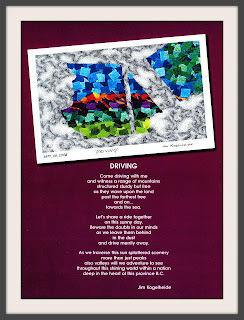 If you look carefully at the above image, you will see that it is a man (Jim) sitting in the driver's seat, driving his vehicle through a British Columbia (B.C.) scenery. You have to view the negative space as positive space to see it. I have included the image (below) with the colours removed to make it easier to see. 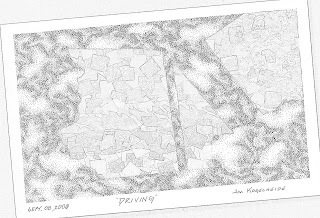 Anyone who has gone for a drive with a passenger with a camera has a photo just like the one that inspired this pen and ink art piece. Look closely and you will see the outline of my nose, lips and chin as I steer our Cherokee Jeep Pioneer along a road at the base of a stretch of mountains. There are, also, a few farm fields between the mountains and the road that is lined with a fe trees. I've had some people tell me that they thought I had really changed my art style and that I had painted a twisted version of some kind of sail boat. I didn't realize that it was so difficult to see the obvious. Well, I had to admit, I did not see it right away, but once I did, I cannot stop seeing it. However, everyone I have shown this to always blurts out "It's a sailboat" before I show them that it is not. Here is the piece with the colours removed. I am sure you can see Jim more clearly now, driving his vehicle. 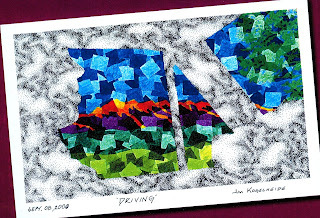 Jim Kogelheide is a visual artist, poet, musician and activist. You may learn more about him, and see his work at www.bitsandpeaces.com as well as bitsandpeaces08.blogspot.com. Art Creations by Jim Kogelheide is exhibiting at Grooves Record Shop in Downtown London Ontario (on Clarence just south of King) from January 12, 2009 to January 31, 2009. Picnik is an online photo manipulation program that allows you to do quite a few "fixes" and "effects" quickly and easily. It can be used as a free program and you do not even have to register. Of course, you can also get a paid version with a yearly subscription that gives you a few extra effects. However, if you have a photo that you want to do a quick fix and are not on your computer with your photo manipulation program, you can quickly and easily do it in Picnik. It is the most user friendly online program I have found. 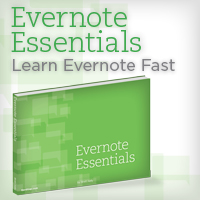 Even the free version is more comprehensive than most other programs. Having a lot of fun with this, I decided to try a few more effects and fixes. I have a photo that I may be working from as a reference for a portrait (I have not decided which of the dozens of photos I will actually be working from). I purposely scanned it without cleaning my scanner bed so there were some glitches on the image. I then cropped and cleaned up the image in Picnik. There are many more effects and fixes that can be used in the free version. If you want to upgrade to the full version, it is only $24.95/year and it gives you a few more things to play with. All in all, I am pretty impressed with application. Of course, you cannot compare it to Photoshop or other high end applications. However, for quick fixes and a few fun effects this is a pretty powerful and accessible application. It gives you several options for saving your final image, including saving it directly to Picassa, Facebook, MySpace, and others, and, of course, back onto your computer. CBC is putting together a playlist of songs for Barack Obama. This is a gift from USA's closest and largest neighbour. The songs are all Canadian in nature. One hundred songs were nominated. We are now voting for the top 49 songs. We can vote once a day, per computer, per category (there are four categories). Canadians choose 49 songs from North of the 49th parallel that defines Canada to the new President. Beginning Monday, January 5, CBC Radio 2 invites Canadians to help select the top “49 songs from north of the 49th parallel” that would best define our country to the incoming U.S. President Barack Obama. His playlist could definitely benefit from some Canadian content, especially given the depth of our musical offerings – spanning a wide variety of genres and representing our culture from coast to coast. Thank you for all your nominations, we have tallied them down to 100 songs. You have until Friday, January 16 at 11 p.m. ET. to vote for your favourites. So, what Canadian music do you think is the most definitive 49 songs from North of the 49th parallel? This is the second piece that I created for the I created it for the 4th Annual Juried Miniature Show & Sale here in London, Ontario at The Art Exchange. For some reason I find cats very difficult to paint/draw. I like cats but have rarely been around them, except at friends' homes. We used to have cats when I was young and living with my parents. However, both my son and I are allergic to them so we don't live with any cats in our home. Therefore, I am not as familiar with them as cat owners are. 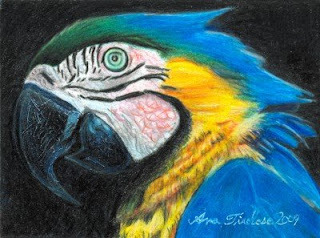 We live with four birds, so, that may explain why I enjoy drawing/painting them so much. I am able to study them up close all the time. This cat ref. photo came from Buck's Blog. 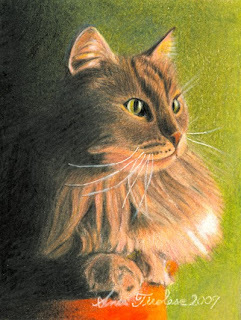 He was kind enough to allow me to use any of his kitty photos to help me get over my cat-drawing-phobia. Buck and I have been friends since 1978-79. 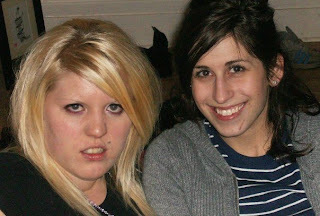 We were inseparable friends as teens. He is really into public transportation and you may also enjoy his Buck Tracks Blog. I enjoy his photos. 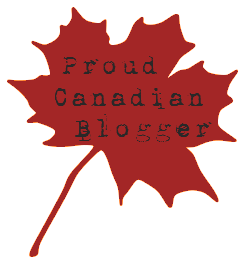 As I was blog-hopping I came across a wonderful blog by Katherine Tyrrell. 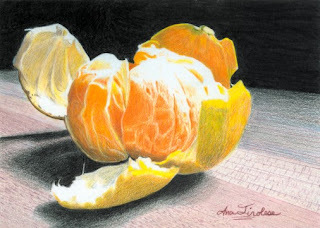 She offers an amazing amount of useful information for artists and bloggers alike. I am relatively new to blogging, both as a blogger and as a reader. Until recently I had not found any reason to have a blog for myself, and any blogs that I had come across in the last few years did not hold any interest for me. It was not until I started finding artists' blogs that my interest was peeked. Also, many of my friends and colleagues kept urging me to start my own blog. I did attempt a few in the past years but they all sputtered and floundered. I really had nothing to say. There are many more posts that I also enjoy, but there are too many to post so it is best if you just visit the Making a Mark blog for yourself. I can spend hours going through Katherine's blog, following links, noting ideas, etc. Katherine's own work is beautiful to behold. She could have easily just had a site to show off her work without sharing all the good info with the rest of us. However, I am thankful that she has chosen to share what she discovers with us. This is a site I would recommend to anyone interested in art, the business of art, and in blogging. I added our family Christmas photos to my Christmas Message of December 25th, and you are welcome to go view them.